I will be offering a sacred music workshop at Our Holy Redeemer Roman Catholic Church in Freeport, New York,on Saturday, November 19th. The afternoon workshop will include study of the rhythmic understanding of the “classical” Solesmes school, conducting, and the chants for the feast of Christ the King. All are welcome, including beginners. 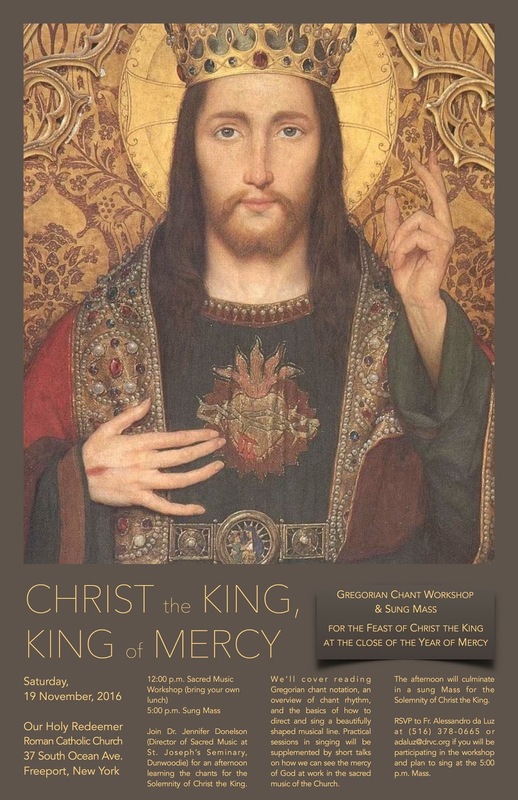 There is no charge for the workshop, but those who wish to attend are asked to RSVP to Fr. Alessandro da Luz by calling (516) 378-0665, or emailing him at adaluz@drvc.org.